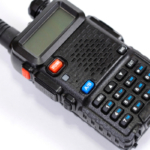 Using two-way radios seems pretty self explanatory, but there are a number of tips and rules that make business two-way radio usage more efficient every day as well as in times of emergency. 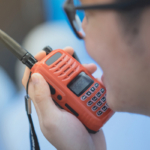 The Department of Health and Human Services, the National Institute for Occupational Safety and Health as well as the Centers for Disease Control recently released a report titled Radio 101: Operating Two-Way Radios Every Day and in Emergencies. The instructional guide is full of insightful tips laid out in a brief, concise manner reminiscent of how two-way radios are used, efficiently and using as few words as possible. Many of the scenarios provided in the booklet relate to miners, although they are generic enough that they apply to many different industries. When using two-way radios you want to be as concise as possible when delivering a message to the person on the other end. There is the ‘long story’ and the ‘short story.’ Make sure and use the shorter version when communicating across radio waves. -Know what you are going to say and whom you are going to say it to before initiating contact. -Avoid long, complicated sentences, or awkward pauses by planning out what you are going to say beforehand. -Don’t use code lingo or abbreviations unless they are clearly understood and used by all members of the team. -Make sure batteries are charged and all devices are powered on. -Make sure that the volume is set high enough to be heard even if hand-held radios are a few feet away. -Make sure you are still within range to receive signals. Communication errors occur every day, often resulting in very preventable issues. In order to help reduce the risk of miscommunication you should always repeat a message before acting upon it. This only takes a few extra seconds and can make the difference between making a costly mistake and smooth sailing. In the real world manners are very important, saying ‘please’ and ‘thank you’ is key to making people feel appreciated for their hard work. When it comes to talking over two-way radios you don’t have to mind your manners so carefully, this only takes up precious time. An occasional ‘thanks’ is okay, as you don’t want to drop your manners in exchange for being rude. Rudeness is proven to deter successful communication and team efforts. You don’t have to waste time being overly polite but you still need to speak to others in a respectful manner. Two-way radio channels may not be private and may be overheard by someone who happens to tune into your frequency. Remain mindful of this potential lapse in security when communicating via radio. Unless you know for certain that your line has the proper security technology in place you shouldn’t openly discuss private manners. Using code lingo can be very beneficial to saving time as well as keeping private information more secure. 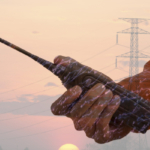 If two-way radios are not properly charged and ready to go they can quickly go from a helpful communication tool to well, dead and out of power. Designate someone to make sure that all radios are properly charged and ready to go each day. Instead of using names to communicate, radios provide everyone with a unique signal. Having these signals and call signs memorized will help enhance the ability to properly communicate on the job. 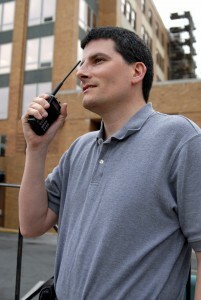 Two-way radios only allow one person to speak and others to listen. In other words, two people cannot talk over one another. If you hear a conversation going on across the channel you are trying to use, be patient and wait for it to end before talking. The only instance when this rule may not apply is in an emergency. Make sure you speak very clearly and talk a little slower than usual to ensure everyone understands your message. You want to speak in a normal tone, and avoid shouting. 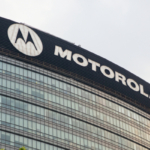 Radio Check: Do I have good signal strength? Can you hear me? Read You Loud And Clear: This is a response to ‘Radio Check,’ meaning signal strength is good and you can hear loud and clear. Go Ahead: You are prepared to handle transmission. Stand-by: You are able to hear and understand but you are not able to respond at the moment. Roger or Ten Four: You heard and understood the message. Out: The conversation is complete. Break, Break, Break: You are interrupting a conversation because you have an emergency. Come In: Asking the other party to acknowledge that they hear you. Copy: You understand the message. Repeat: Say this before you repeat something to prevent confusion.